Here at Granutech Saturn Systems we will provide you with the top of the line hammermills and our experts will work with you to find the perfect solution for your application. We offer a number of solutions including hammermills, crushers, loggers, heavy-duty shredders, grinders, granulators, powderizers, and refiner mills. 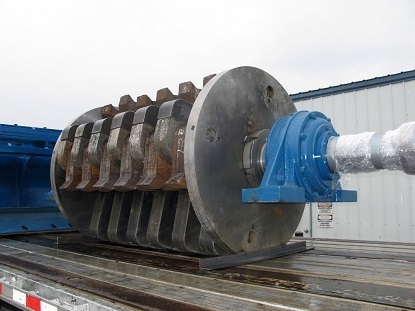 Our hammermills have an 200hp motor and utilize a heavy duty steel housing. These high powered machines can handle different types of materials and can process four tons an hour. We also offer a full range of secondary services if your application requires. We have over 50 years of industry experience and we strive to develop the latest innovations in our field. Our products are thoroughly tested and guaranteed to last for many years to come. Hammermills are size reduction tools appropriate for the grinding, shredding and crushing of many different kinds of materials. Small scale hammermill processes involve the shredding and grinding of light-weight, soft materials like paper and grains; hammermills can turn paper into pulp and grains into flour. 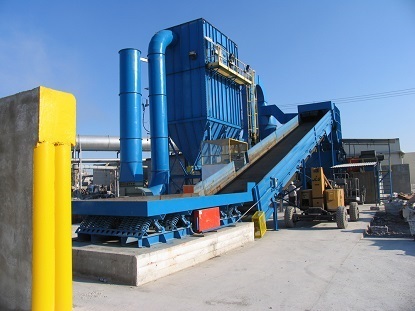 On larger, more industrial scales, they can be used for the crushing and shredding of large appliances and even automobiles in advance of recycling or disposal. Hammermills are size reduction tools used in industrial waste disposal, raw material processing and many other operations. Size reduction tools are important parts of many industrial processes. Because the variety of materials that are processed by size reduction equipment is so wide, an equally wide variety of equipment is necessary to accommodate them. Stone crushers, jaw crushers, grinding mills and all kinds of other grinding and pulverizing equipment are essential to the preparation of minerals, metals and other materials in advance of mixing, refining, alloying and other processes. Hammermills specifically are operated in different ways, depending on the size of the machine and its applications. Smaller hammermills, like those used to shred paper, can be operated by using wall outlet electricity. Large hammermills, like those used in waste management, often use multiple diesel engines as a power source. Hammermills, on a conceptual level, are among the simplest size reduction tool designs. Every hammermill, whether large or small, features a cylinder with inlets and outlets for grinding material, a motor and grinding hammers on a rotating rod. The process begins when the material intended for grinding is loaded into the cylinder. This can be done automatically through a combination of conveyor belts and hoppers, or it can be done manually, as is the case in small scale hammermill operation. Once loaded, the motor causes the rod in the mill to rotate, causing the hammers to rotate as well. When the rotating hammers come into contact with the materials, it grinds and shreds them. Once sufficiently ground, the materials fall through specially shaped holes built into the cylinder. They pass through the holes and into collection areas. The cylinder can then be reloaded, and the process repeats itself. This process can be continuous, in the case of automated hammermills, or it can be performed in batches; this usually depends on the scale of the operation.